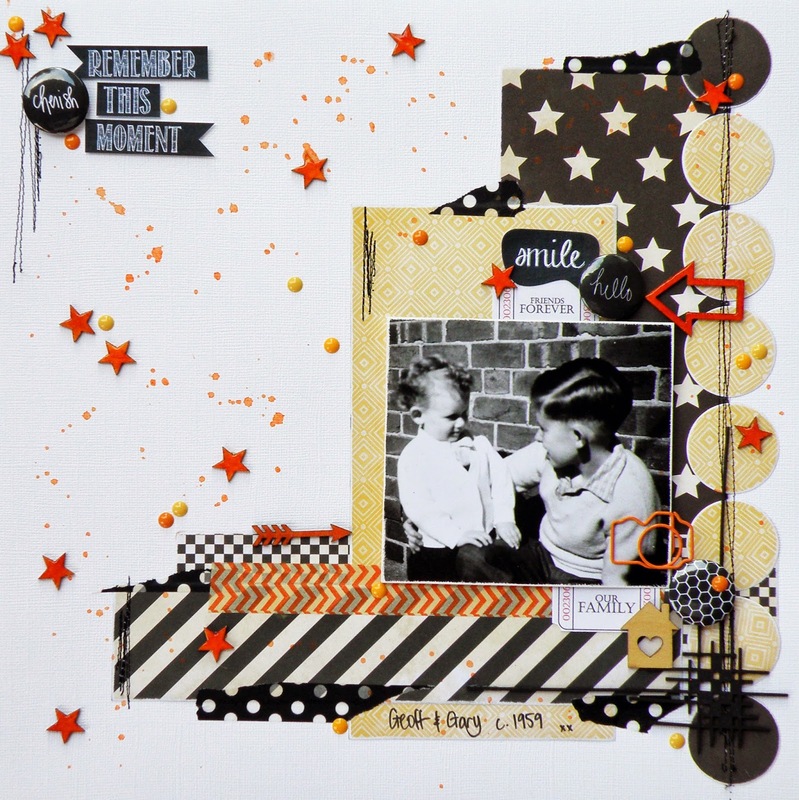 This layout was for the colour challenge .. orange + yellow + black + white. I wasn't going to do this challenge because the colours just didn't speak to me. But Sandy did it so I had to too LOL! To get my head around what was for me a foreign colour combo, I decided to focus on one colour (yellow), use black and white in my background and to build my layers, and use the other colour (orange) as an accent. I'm glad I did because its opened up a whole new range of colour combos to play with which I'd ordinarily dismiss! 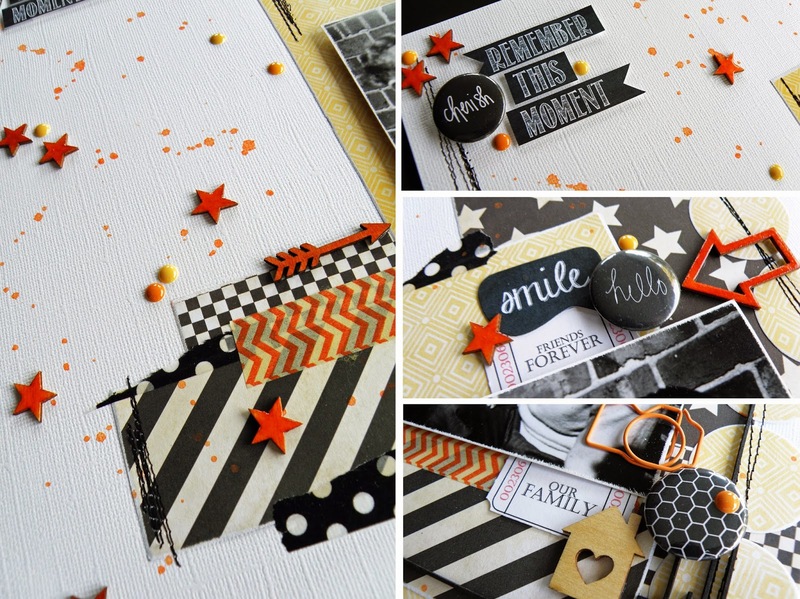 The D-lish Scraps embellishments I've used on this layout include .. Washi Tape (of course! ), Freckled Fawn Dew Drops and a camera Paper Clip, various Wood Chips, Flair Buttons from the 2014 Script Words in Black and Monochrome Patterns in black, and various Journal Its including Tickets Sayings in White, Chalk Bubble Words and Chalk Folded Banners. There were two more challenges I had hoped to get done over the weekend but circumstances got in the way. One was a word challenge and the other a sketch challenge. Because I've made a good start on my word challenge layout I'm hoping to finish it today or tomorrow and to also get the sketch challenge done, if I can. I like to see things through LOL!!! Plus we don't need to upload our layouts until midnight tomorrow so I have a little time up my sleeve. Wish me luck!! !